These types of hauls are different than those for vehicles that run normally. These are known as inoperable or “In-Op” vehicles. The cost will vary based on the severity of the issue or damage causing the vehicle to not run. Inoperable vehicles that can roll and be steered are the not much more difficult, but will still require equipment such as a winch to pull the car onto the trailer. While vehicles with severe damage (such as salvage vehicles) may not move at all and need to be carried on to the trailer with special equipment. National Express provides the best service for a vehicle that does not run. We specialize in all kinds of inoperable vehicles, even for those in the most difficult situations. 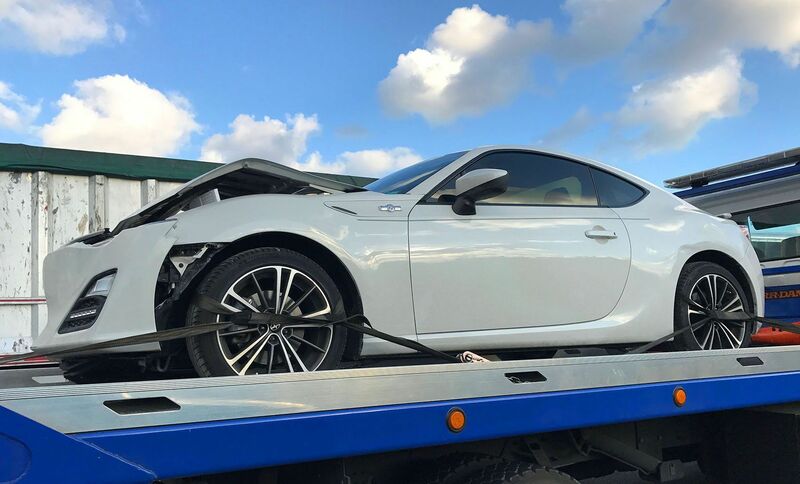 Our network of carriers includes specialized carriers that can move all kinds of vehicles, including cars that cannot roll such as heavily damaged vehicles or vehicles that are used for parts. Even if your vehicles does not have wheels, we can ship. Collision damage, project vehicle, or parts car. we can do it all. Very few auto transport companies are properly equipped to handle these special cases. A good auto transporter can move non-running vehicles. If a vehicle simply does not start, it can be as little as $100-150 more to get it shipped. For a vehicle that does not roll or steer, the cost can be significantly more depending on the severity of the situation. Those may require assistance, such as a forklift. If it can be moved / pulled it will not very expensive or difficult. Maybe you need to move your vehicle to a body shop for repairs. Or you found a great deal when buying a car online and you need to have us move it to any location. Even if it’s a local move, you don’t need a tow company. In almost every case, a transport company is much cheaper. Tow companies come out to you at that moment, and are paid a premium for fast recoveries and related services. More information on that by reading this post. The best way is to always properly represent the vehicle. It’s a common misconception that if a customer reveals extra issues such as that the non running / inoperable vehicle doesn’t roll, has extra parts, or a is a track car that it will be a reason to raise the price. That is actually not the case. In most situations it won’t but we do need to know details about the vehicle in order to send out the right carrier with the right equipment that has the knowledge of your specific vehicle’s condition. We can help with various special situations, so don’t hold back on asking your advisor questions on what to do. The car is not in running condition and you need it transported. 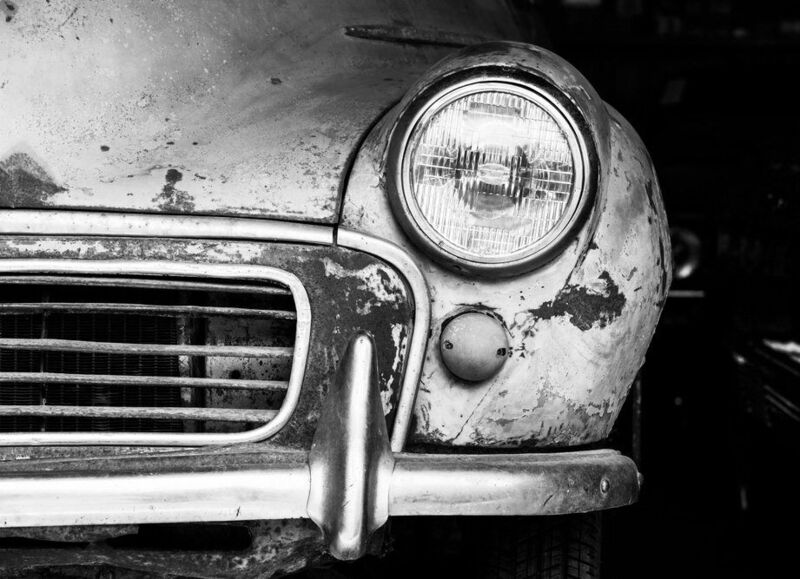 Perhaps you found a great vehicle from a seller and the pricing is perfect for your budget but it doesn’t run. You believe you can fix it to be able to use it or sell it. Maybe you are a hobbyist that has several projects and you’re moving to another home, needing to ship your non-running vehicles out. We transport and ship all types of “inops”. For some customers it’s a classic that doesn’t run from a seller or family. Sometimes you find the car of your dreams and can only afford it if you make the repairs yourself to bring it back to life. We love those! It makes us happy to see customers start their dream project. You’re not going to be charged a fortune to ship an inoperable vehicle. It can be a car, truck, SUV, or even transporting of an RV that doesn’t run. There are a few pointers here that will help you understand the process easily. So let’s begin. The average cost for a short distance auto transport is usually just an additional $25 or $50 for a vehicle that does not run. For long distances it could be up to $150 more on average and the window of pick up is longer than the usual 24 to 48 hours we offer to our regular long distance auto transport. Inoperable vehicles can take an average of three days to get picked up if it’s ASAP . The reason for this is due to the far less amount of properly equipped trucks available to move a vehicle that does not run. 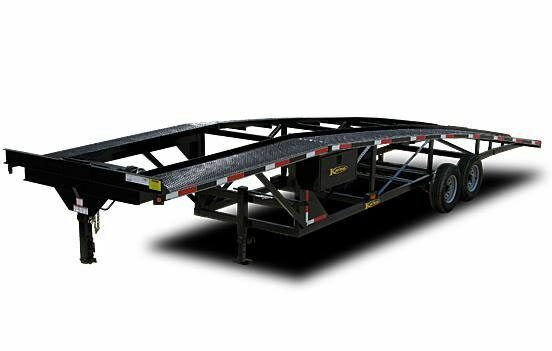 For example, in most of these cases carriers will need a winch or lift to pull the vehicle which requires a little extra work to move it on to the loading area. For regular vehicles that do run and require long distance transport, we usually use the 10 car, two story trailers. However, these have various ramps that are adjusted as each car is moved back-and-forth into its position. A vehicle that does not run would be nearly impossible to winch on a conventional truck like that one, therefore a different type of truck that is a little less common for long distance moves is used. Like a three car hauler truck equipped with a wedge trailer. The first step is to get a rate. We make it very easy and our car shipping calculator gives us all the information we need to properly give you the cost of shipping your vehicle. So give it a try. For immediate service you can call 800-284-7177 and hit option 1 for sales to speak to an advisor. National Express offers the best auto transport services powered by a professional staff with a combined 50 years of experience and a provider of non running auto transport services for just as long. We know how to get the job done right the first time all while bing kind to you and your wallet. Call us today. Have Keys. Even if it is unlocked, not having the keys can keep us from moving the steering wheel and unable to ship out of Park. If a vehicle is without keys should be be in neutral gear, and be facing in the direction they are to be loaded if the steering also locks. Otherwise, it is just like moving a damaged vehicle that doesn’t roll because the wheels are locked in place when in “Park”. If the vehicle does roll, have try to make room for transporter to work and move your vehicle onto the trailer. Be sure to allow plenty of time. If the vehicle does not have wheels or the damage is so severe the vehicle can’t roll, loading and unloading assistance may be needed at both the pickup and drop-off. Be Sure to inquire about this when requesting the inoperable transport service.